When Sony Ericsson added ANT+ capabilities to some of their Android phones last year, it was a pretty cool milestone. But with ANT+ comes the outdoors – and with the outdoors comes things that are generally considered ‘unhappy’ to electronic devices – like water and mud. But now, that’s been solved. Last week Sony Ericsson sent out an Android phone (loaded with OS version 2.3, Gingerbread) for me to try out. And since it arrived I’ve been throwing everything I can at the phone (and having a lot of fun doing it). But in addition to torturing the waterproof phone, I’ve also been using the ANT+ capabilities to monitor my heart rate while running and recording the rest of my ANT+ sensors from my bike rides. Now before we get into the meat of the review, for those of you who’ve read my reviews in the past know that I tend to be pretty detailed…and in depth. That’s just the way I do things around here. Think of them more like reference guides than quick and easy summaries. My goal is to leave no stone unturned – both the good and the bad. Finally, it should be noted that I’m going to focus on the ‘active’ piece of the ‘Xperia Active’ – since that’s what I normally focus on. While there is certainly merit in discussing the ins and outs of specifications of the phone in comparison to others on the market from a more general phone use standpoint, I feel that I can bring the most value to the portion of the discussion relating to using it in sport. Of course, if you have questions on the other pieces – I’m certainly happy to try and answer them in the comments section. Onto the unboxing! Like most products that aren’t quite available yet, I don’t have a fully finished retail box – but rather the contents of the box – so we’ll have to work with that for now. Inside we have the earphones (with mic), earphone adapter for sport use, a micro-USB charger, a strap that hooks onto the phone, the battery, the phone itself and an arm band for sports use. The edge of the phone has a small loop that the strap ties into. 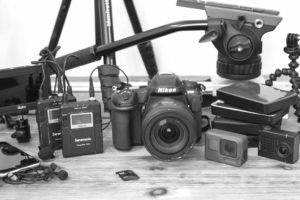 As silly as this sounds, I’ve found this actually really handy – just like you’d have on a small point and shoot camera. Finally, here’s the armband that came with it. It’s not specific to the Xperia Active, but it fits in there pretty snug and is functional enough for basic use while running. Of course unlike traditional phones, this one doesn’t exactly need the protective armband pieces, but it makes for a handy place to stash it while running or riding. Between the two sport specific features of this phone that excite me the most (waterproofing and ANT+), I think it’s really the waterproofing and durability features that push me over the edge. The Xperia Active is waterproofed to IPX7 levels, which means that it can withstand submersion in liquid (ocean, pool, lake, beer, cupcake batter) up to 1 meter deep (3ft) for 30 minutes. I’ve long been using a small waterproof camera with the same rough waterproofing specs (the Optio series), but having a cell phone which can do everything that camera can…but also make phone calls, host apps and do everything else you do with a phone – offers a significant advantage. Next up was the pool test. While there were some little videos floating around when the phone was first announced showing it sitting in a small 6” deep round fishbowl, I decided that really wasn’t good enough for my kind of reviews. Nope, I wanted to go swimming with it. So swim I did. I stuck it in the my swim shorts leg and jumped to the pool. I swam about 20 minutes with it there, before pulling it out and shooting the below video. As you can see, the phone can record video underwater – and any apps that you started above water will continue to display underwater. However as expected, the touch screen itself doesn’t really work underwater (since there’s constant water pressure on it) – but the other buttons do (such as the camera shutter button). Since shooting all these videos, the phone is still alive and quite happy – which is both good for both me as well as Sony’s phone (it’s always awkward to send waterlogged devices back…even more awkward if it had been filled with gel). These devices all normally connect to head units like the Garmin Forerunners or Edge cycling computers (or Timex Global Trainers, CycleOps Joule’s, etc…). But with the Xperia Active containing an ANT+ chip within it, it can now replace that head unit piece in your equation. Sony Ericsson was the first to put an ANT+ chip in a phone last year with their X10 series, but while successful in its own right as a first crack at it – it lacked both the sexiness as well as the durability that folks want in a phone. Both areas that I think are genuinely improved in the Xperia Active (it actually looks cool). And…it looks even better next to ones bicycle with all of the sensors paired to it. See below, I’ve got the phone paired to a Garmin Heart Rate Strap, a Garmin GSC-10 speed/cadence sensor, and a Quarq Power Meter. All via ANT+ (and MapMyRide). Each sensor type can be individually connected and paired to, just like on your normal ANT+ head units. Once connected to the sensors the app will record the data just like normal. The cool part is that like other ANT+ apps available for the iPhone, the options here are really limitless. For example, Quarq developed an iPhone app that allows bike shops (or end users) to check the diagnostics of their power meters. And others have written apps that allow you to stream your ANT+ data in real time to the internet, along with location data – allowing for real time tracking during races. I’ll get into the application options in a minute though. It’s probably accurate to say that the Xperia Active phone is a playa (with the ‘a’ at the end). It not only does ANT+, but also easily supports any of the other Bluetooth accessories such as both the Polar Bluetooth and Zephyr Bluetooth HR straps. Of course, a given application has to support these on a platform (such as Android), but they do work just fine. The nice part about the Polar BT strap is that it also supports legacy Polar devices (via 5kHz transmissions). It’s like two for the price of one. You can see above both straps, and using the My Tracks applications by Google, you can connect to either strap type (as well as ANT+ straps). Speaking of My Tracks, let’s get into the app options. Now in order to see ANT+ data, you need to have an ANT+ enabled application. Meaning that you can’t just use any old running or cycling app to record the ANT+ data – it has to be programmed into that application to support those sensor types. The good news is that there are a number of applications out there, and the list is growing. Like when ANT+ came to the iPhone via the Wahoo dongle, it takes a bit of time to get that list expanded. Out of all the ANT+ enabled Android apps, I’ve found MapMyRide/MapMyRun (and all the MapMyFillInTheBlank derivatives) to be the easiest to use. I used it on my long run this past weekend (20-miles), as well as used it cycling – both connected to ANT+ sensors. Once you’re all set you’ll start the workout and then press the big Play/Pause button at the bottom to start recording. MapMyFitness can also broadcast your location/status to social networks such as Twitter and FaceBook, as well as provide a live tracking page for friends to follow you. Pretty cool stuff. Like virtually all fitness applications it will show you a map of where you went both during the activity, as well as afterwards. Once completed, the application will upload the data to their site. I did find it interesting that they do a bit of data cleanup upon upload, as you’ll see above the data was slightly short prior to upload – but afterwards it was corrected to be within 1/10th of a mile of my Garmin FR610 data (or roughly within 0.5% on a 20-mile run). My Tracks has long been a favorite of GPS tracking folks on the Android platform. Developed internally by Google, it was also used as part of the Tour de France tracker application that was done last year (and this year again). In addition to ANT+ sensors, My Tracks includes support for both the Polar and Zephyr Bluetooth HR straps too (and SRM’s ANT+ bridge). My Tracks then contains the ability to upload your recorded data to a website for later analysis. Endomondo is probably one of the most popular Android fitness tracking apps, and includes support for a number of different sensor types aside from just the ANT+ ones. It also supports both the Polar and Zephyr Bluetooth HR straps too. Once you’ve paired up the sensors, you can choose the sport type. Like most fitness apps it will also do Text to Voice prompts for spoken alerts at mile markers of your choosing. Once complete, the application will upload your workouts to a site where you can view them in more detail. Note that there are other applications that support non-ANT+ heart rate devices – such as as the Polar and Zephyr Bluetooth heart rate straps – but since Bluetooth is supported on virtually every phone out there you’ll find them available in many of the more popular apps given the wider adoption of Bluetooth in phones. Having used this phone nonstop now for a bit, I’m really enjoying it. 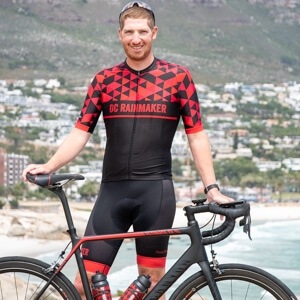 I love that when I go out for a ride I don’t have to worry about it in my back jersey pocket – and I love that simply using it in the rain isn’t an issue. For an active person like myself, it’s really ideal. For me one of the main reasons I’ve used a waterproof point and shoot camera all these years is the ‘I just don’t have to worry about it’ factor – and the same really applies to this phone. I simply just don’t have to worry about it. I know that I can throw anything I want at it, and it’ll just keep on tickin’. The Xperia Active is available now, though in the US you’ll have to buy the phone and then simply put in your carrier’s SIM card (both in the US and Worldwide). Which is what I do, and super-easy. You can see all the detailed technical specs on their website at this link. As always, if you have any questions – I’m happy to answer them below in the comments – and thanks for reading! What about the battery? How long does it works with that kind of use? Great review. I have been looking forward to seeing this phone – looks small enough to mount on the bars of a road bike (similar in size to Edge 800)? They need to make a smallish bike mount for this to really be useful during training. 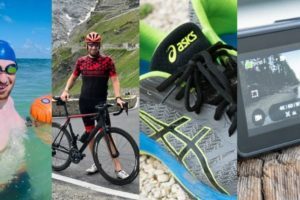 Can you listen to music on the phone during your run/ride, while still having it do all the ant+magic? 1) Can it perform GPS navigation to follow a pre-set course? 2) How long is the battery life in full GPS mode? 3) Would it fit well on a bike, provided that there was a bike mount for it? 4) Can it save the data from the ANT+ sensors and GPS location so that you can upload it into Training Peaks or similar sport e-log? Then. of course my other thought was: should I reconsider my plan to buy an iPhone 5 when it comes out, or should I wait for this. Maybe the Rainmaker might have an opinion on that too. * Can ANT+ devices be paired to more than one unit? I.e. can I pair my powertap to both my forerunner *and* this phone at the same time? * Found any apps that can export data to WKO+? Generally I’m curious if you see this as a complete replacement for a Garmin Edge, with its seamless integration into workout logging and analysis systems? I’m also wondering about battery life. Would this last over the course of a century/gran fondo tracking ANT+ and GPS data? I think it would be fun to also stream music to a bluetooth speaker mounted to my bars during a low-key century ride with some buddies. @Alberto and Sam: the My Tracks app exports into GPX, KML, CSV, TCX. However, google will stop supporting it as of 2012. Hello, but this question no is closely related to this review, do you know if the band polar nike + is compatible with Garmin watches?. It is assumed that the two work on the same frequency 2.4 Gz. Thanks for the product reviews you do. same question as nodun, how is the battery life with ant+ and gps turned on? Same questions as Alberto! Also, any ideas on when Stava will add support for ANT+ accessories? Would be amazing if the Strava Android app would work with his phone and have ANT+ support. I think this phone would be ideal in the jersey pocket and then you could just have a ANT+ display-only computer on the handlebars. Hi, great review as always! You just keep coming up with good articles. As I’m a huge fan of Garmin equippment and use them daily, I’m wondering if you can use this phone and some of the trainingsoftware (Runkeeper, MapMyXXX and so on) to upload the training data (HRM, WATT, Kad/Speed, Footpod) to the Garmin Connect Website? If yes, then I could, in theory at least, replace my Edge 500 and FR60, and only use the Xperia Active? What trainingsoftware is in your opinion the best one to analyze your training data (I’ve never tried the MapMyXXX)? And since your at Interbike, if Garmin is there, mabye you could ask them if there is a iPhone and/or a Android-app coming up? Mabye they are merging or buying Runkeeper or an other company? Hi all, thanks for all the great comments. I’ll consolidate questions if they’re duplicate. It depends on what you use it for and the app types. I didn’t drain it on my 2hr 30m run with ANT+ sensors and GPS running the entire time. I’ll try tomorrow with an ANT+ HR strap and GPS during the Outdoor Demo at Interbike running the whole day and see how long it takes to drain it. Obviously there are specifications on Sony’s site, but those would differ from ANT+ use. Yes, almost identical in size to the Edge 800, except thiner. I’ll take a few pics tomorrow side by side and post them. Completely agree a bike mount would be killer. Yup, no problems there at all. It just depends on the app, but virtually all the apps I mentioned allow you to create playlists to play during an activity. Note that if that rubber door to the headphone jack is open however, that negates the waterproofing. You could do something like a Bluetooth powered headphones, or the Tunebug (also BT powered). Yes, MapMyRide does this – used it a few times on complex rides. I didn’t see any of those apps offering upload today directly to TP – but all of them support saving to formats that TP supports, such as TCX – so you’re good there. I’ll hit up the TP folks Wednesday and see what they have planned. No issues at all there, in fact, I did that for both my rides and runs. They were at the same time paried to a Garmin Edge 800 and a Garmin FR610. Same as TP, both support TCX. It’ll depend on which carrier and how much it is subsidized by the given carrier. To date you can’t upload to Garmin Connect directly, but as noted above, these apps support TCX files, which Garmin Connect can upload easily using the manual uploader. Online it’s Training Peaks, offline it’s a tie between Sport Tracks and WKO+, with a close 2nd to Golden Cheetah (it’d be first if it also did running, but it’s more of a cycling powerhouse app). So far I found the camera quality so-so, not great – but passable. I’ll take a few pictures out in the desert here in Vegas at Interbike and see if it looks prettier. I’ll ask if there is an update there. They made it clear in their investor call last quarter that apps in general are on the radar and they see it vital to long term success. We’re seeing that already in the Automative, Aviation and Marine space for them. Within sports, we’ve only seen it on the GTU front. Does a TCX file contain all of the training data, like HR, Watt etc. or only the mapfile? Hi Rainmaker…nice review! I am looking to buy a smartphone but before this have stuck to basic phones from Nokia/ Samsung, widely sold where I live(India).This is because I am quite a clumsy person and keep dropping things. So can this phone handle such rough use? Great review. I have been researching this phone every since you put a sneak peek up last week. I have made several calls (Sony Retail Store, Best Buy, At&T) and no one has any clue about availability dates. As always you hit on all the points that I wanted to read about. Thanks again for your review. Ray – do you know if the gps in the device is cellular or satellite based – ie do you need cellular coverage. Also can you use ant and Bluetooth at the same time – ie can you listen to music on bluetooth headset or use an ear headset to take a call while still recieving ant data? Very curious as it looks cool! For folks who is interested on the power consumption. Head out for a 2hours run today with this phone. Bluetooth turn on to listen to the music. ANT+ sensor for HRM and footpod turn on as well. 100% charged took out about 20% juice when i done with running. This was a really good “Hands On”- review. I’m from Sweden and since SE is half Swedish I hope to see the phone on the market next week or so. Any news yet on the battery life, Ray? I would be most interested in the scenario ANT + GPS (and maybe MP3), as this emulates the Edge 800 use case. Nice review. I am one of the people behind Xperia Active and championing active products at SonyEricsson. We have idea for bikeholder- i have been testing several ideas. How much would you pay for bikeholder in aftermarket? Hi Tom..was wondering if you guys actually came out with the bike holder for the Active yet? Hey tom. I know my comment maybe came too late but since you are such an influential person othis game i thought i give it a try. Since i know of no other android phone being produced to the sport oriented public and since you mentioned bike holders i was wondering. Perhaps you could include in a future phone version a battery cover which has a garmin plug that fits garmin out front flybars. I guess the addition of a second battery cover would not be too costy and thus not affect the cost to the end user. Funny, I was just talking to Kare and his travelling co-worker about this at the ANT+ Symposium last week. I’d pay the market price for such a mount – about $20 – if it was well designed and slim. The major problem with many phone bike mounts today is that it’s like strapping a watermellon onto the handlebars. I told him to talk to Chip from Wahoo Fitness about solid bike mount industrial design that also looks good. Thx for a great review, that really answered all the questions i´ve been seeking regarding this phone 🙂 Really hoping for a handlebar bike mount, this would be perfect for my mtb cross country riding. Hi Ray, thanks for a great review, I appreciate it very much. One question please – is there a way to switch off “assisted” part of aGPS and use only GPS for navigation? Reason for asking are roaming prices for data access around Europe. If I used aGPS bycicle navigation outside of my home country, it would cost me a fortune. Thanks for advice! Regards. Hey, very nice review. Especially for us sport nerds.. 🙂 What I wonder is if this device really has a “camera shutter button” as you suggest? My MountainBike-Rides usually take half a day or even more. Does the battery support it with gps on? Even if screen-brightness is set to max? 2. How is the screen readability in direct sunlight? I would like to join the crowd with the question about the battery life – is the phone capable of logging a whole-day bike trip (for the record, my current, very low-end smartphone, ZTE blade does when I don’t use it much during the logging)? Additionally – were you able to test the barometer function? Does it use the barometer to measure altitude? If so, how precise it is (I would guess it should be much more precise than GPS computed altitude)? Great review so far – thank you. The big question mark still is the battery. What happens if I use the SE “as” an Garmin Edge. Doe it have a Front facing Camera? Got the answer – Doesn’t have a front camera. – Its a big Drawback. But rest is really great. The videos and all the hardware features are awesome, but I wanted to know a little bit more about the apps. I’ve searched around and found this blog xperia-active.com, where they have an in-depth review of the imapmyfintess and sportypal pro apps. It was very helpfull. Hi.I like your thorough test on this new phone, however myself being an avid bike rider the app “Map My Ride” with the heart rate and distance monitor is very interesting.The negative side to that is that I don’t have any of the mentioned brands for my heart rate and distance monitoring, instead I’ve got a German brand that reads my heart rate.My question is if it will work with the Ant+ when I enter the adequate information in the App pertaining to the heart band and synchronizing it with the phone as the GPS will show me the positioning?Thank you. hi nice review but is this phone shockproof??? can the phone and its screen withstand 4-6feet drop’s??? have u done a drop test??? First of all, thank you for a nice review! Im seriously considering buying this phone, the only problem is that i use the polar system. Do you know if the CS200CAD cycle computer match with ant+? And what are the battery usage if you use polar bluetooth/hybrid belt? 1) The standard mounts I have (and I have researched) all comprimise the on/off button and the volume control buttons. Due to the fact they are on either side of the handset. I have modified one mount to get around this. You still have the issue of the handstrap loop which means that you can not use one side of the base brace on most clamps. 3) I have been using the handset along with Garmin sensors (and my 310xt) it pairs up and works extremely well. The limitations are with the availaible bike apps. So… If someone can design an Android app that exactly replicates the Garmin 800, please let me know. If it turns out that battery life is not long enough for a long ride (>4 hrs), how about a larger capacity battery with a matching back that has an integrated bike mount connector? Same question as Han.. is it shockproof? An outdoor phone should have some protection from accidental drops and knocks. This question as well as decent batterylife is crucial to my purchase decision. Do you know the availability or possible release date of the phone in Canada? @Kurt: check xperia-active.com for a comparison review between sportypal pro on xperia active and garmin edge 800, maybe it will be useful for you. Went mountain biking today and tracked my ride using endomondo (free version) with GPS turned on and HRM connected thru ANT+. 43% battery left after 4.5 hours, recharged it with my Sanyo mobile booster (brought it along just in case) to 58% and continued to ride for 3.5 hours more and was left with 13% when I reached home. This equates to about 12.7% battery life per hour of usage. Phone was also used to take photos and videos along the way and was connected to 3G throughout the ride. As other folks have been expressing interest in, I will join the choir and cry out: BIKE MOUNT! But not just a generic bike mount, it should be a stylish bike mount that fits the Experia Active. And it would be really cool if it has a swivel that allows for movie recording while mounted and riding the bike. Actually I wonder why Sony didn’t launched a bike mount at the same time. Firstly, thank you for the great review. Easily the most relevant and helpful one out there. Can I just ask for people’s impressions on the call quality of the phone? Two reviews mention sub-par call quality while another praises it. I’m sold on everything else but I’m guessing I will use it as a phone every now and then and I’d just like to know that I’m not going to be stuggling to hear callers (or vice versa) when doing so. @DBL, I am using it as my day phone and no issues with call quality so far (in-call volume + overall call quality). @makoantz, cheers for that. Appreciate the input. I was tossing up between this and the iphone. The active is significantly cheaper plus I wouldn’t have to worry about dongles and cases. I think I’ll take the plunge on this when it’s available here. Just keeping my fingers crossed for a slick bike mount. I bought the phone in Singapore and also tried to record in the pool. However when the phone was submerged, some bubbles came out from the small gap in the volume/zoom button. Once the phone touched water, the video recording stopped. Tried this a few times. How did you manage to take the underwater vids? I came across Endomondo’s phone case/bike mount. Probably what most folks have been waiting for. Does anyone have a clue where I can buy this phone in the USA? I have looked everywhere and cannot find one for purchase that specifies it’s a US model and will work on our frequencies. The only things I find are all on backorder or wrong region. Yup, you can get it via Amazon unlocked – works with ATT and basically everyone but Verizon. Thanks for all the reviews! While waiting for the Garmin 910XT I decided to get this phone so I’d have a head unit for the power meter in the mean time. Thing is, the only app I’ve found that even shows the power meter is the MapMyFitness thing. Paired up and everything. However, when I want to view the workout on the site, there’s no power data. 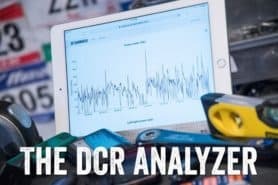 Have you seen an app that not only pairs a power meter but also graphs it? Preferably with an export that is accepted by Garmin connect, but right now I’ll take anything. Is it compatiable with the nike+ sensor? 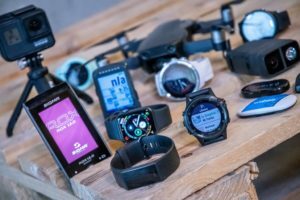 Garmin FR 610 or the Xperia Active? This year I ran my 2nd marathon. Trained to finish in 3:30. After the weather forecast aimed for 3:40 and at the end it grew to 3:50. So I decided to pay more attention to HR training, running technique and cadence. Now I do my runs with Garmin FR50 still missing the advanced workouts function. In about a half of my running activities I take the cell phone with me for additional tracking, posting the workouts or just to stay accessible. Do the occasional bike for recovery and to keep in shape during the off season. I was almost sure about FR610 for its advanced running features and still acceptable price (currently 280 € in Slovakia). I find very interesting the Garmin training effect, and the promise to be able to record and analyse HRV is also appealing. – or even for my rafting trip to Albania (pictures and tracking). Of course all that with some help from replacement battery/pack. In my previous experience a single purpose devices always tend to be more reliable, precise and without additional or less hassle. So what are you guys thinking? FR 610 or Xperia? My Tracks gets a mention in the review but it doesn’t mention there is an application that works with My Tracks to upload data live to MapMyTracks.com called Avocado My Tracks Bridge link to market.android.com . I’m wondering how good the Active GPS is. It’s not reviewed here. I’ve been trying bicycle tracking using with ANT + handsets picking up data from SRM head units and used it to make the Criterium movie at link to youtu.be . Mick Rogers is carrying an Active and the other cyclists are carrying Xperia X10 mini pro handsets. Mick has the least accurate GPS in this video but one sample is not enough to be definitive. There is also a tendency for tracked position to overshoot the corners, again worse with the Xperia Active, which implies there is Kalman or similar filtering being applied to the GPS readings. I’m wondering if anyone knows more about this and whether it is done in the GPS chip or the handset firmware? I can see you have the micoach application installed on your phone. Is is possible to use it with ant+ devices? Or does any of the application you used provide voice coaching like micoach does? Hello fella, I have been convincing myself to buy this phone for a long time. You see gsmarena.com is a pretty cool website which talks about all kinds of phones and it has written a real cool review about this one but your review and pictures, I think, is just what was needed. You have touched upon aspects which they just let pass with two blinks. Coincidently they call the review the rainmaker. You’re famous or what? Thanks again from India. Great blog. I’m a fan!! 1. It would be nice to be able to turn the screen on without having to move the slider (like on some HTC:s you can push the menu buton twice and you get the screen). 2. Same goes for answering the phone, button is better than slider. The reason I like buttons better is that buttons are a lot easier to push with thick gloves (minus degrees here in Sweden). I’m convincing myself up to this day to buy this phone although Xperia S is coming in a few months. But the Active’s capabilities is what I really liked in a phone. I like the “I don’t have to worry if it gets wet” attitude. This review covered only a sportsman can do. It utilizes the Active’s features being for “the active people” while using different fitness sensors. Because of this review, though a little late but not too late for an android beginner like me, I’ll get this phone this month. Thanks Rainmaker. I think you mentioned on twitter swapping SIM between iPhone and Xperia Active. Do your contacts move back and forth too? How do text message conversations move back and forth, or do they? Hy I also use the se xperia active since 3 month now and i am happy with it. 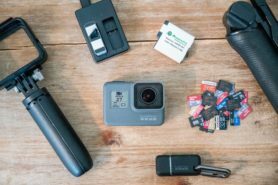 read this blog for a while because i am looking for a bike mount. was not sucessfull on that page but have found one. after my first rides with that bikemount i really can recomment it. check out this site. i am not shure if the deliver outside europe. When ordering the ST17a off Amazon (it says 800MHz UMTS but it’s really 850 FYI, as well as 1900/2100) I discovered that the US version does NOT come with the wrist strap or arm band. I guess Sony Ericsson assumes ‘fat Americans’ don’t exercise, so don’t need them. Thanks for the detailed review and the thoroughness of the content you publish. (1) Is it possible to use GPS tracking and maps display when outside of the cell network coverage? I assume that would require being able to pre-download and cache the map of the area of interest. (2) Are there Android tracking apps that can use custom maps (the capability for custom maps that was outlined in your Edge 800 review is pretty compelling). I’m particularly interested in high-res topo maps. I guess a Garmin Edge 800 would mostly fit the bill but I have a suspicion that the choice of apps on a cell phone will provide far more functionality ultimately. Also, I can’t imagine squinting at a map with such a limited pixel count (especially when I’m lost in the middle of the woods 😉 ). I realize my earlier post is not entirely clear: I know that Google Maps on Android can indeed cache 10-mile square sections of maps. However what I’d like to know is if any fitness / GPS tracking application can do the same (or use the cached Google map itself). can this phone take picture ubderwater???? Yes, though, it can be finicky due to the water pressure. I have a Xperia Arc and a GARMIN ANT+ HEART RATE SOFT STRAP, and i want use it with my Arc + app Mapmyfitness and use Sony SMARTWATCH like monitor of heart rate. Thank you so much for all the informative reviews. It’s with this Active review that got me to look into using my Xperia Ray with a foot pod for a cheaper start to read my cadence before spending on a TRT or FR210. Pardon me for my lengthy post but this is to serve as a info for those who are currently using ANT+ capable smartphone with sensors like me. Android Build: GingerBread before I upgraded to Ice Cream Sandwich yesterday. My experience: I installed ant+ demo and upgraded the ANT+ radio services about two weeks back when I’m still using GB on my Ray. The demo launched without any issue and I can enable or disable ant+ within the demo. That signify that it’s ready to be used before I get foot pod. Sadly last night, I proceed with a software upgrade to ICS and all things failed now. I updated the ANT+ radio services, reboot and try on the demo. It simply stuck in “Enabling” mode and nothing happens. Numerous uninstallation, reboots, reinstallation does not help. This sadden me as it means I will need to get a “full kit” to read my cadence instead of making use of my existing phone to cut some cost. I’m a beginner and just got back running so cutting cost is my concern after spending on running shoes and apparels. I do hope to be better in running by taking some readings off my running and this stops me for time being as im saving up for the full kit. Summary: for those who are using Xperia ANT+ capable smartphone with sensors, you might want to hold your horses on upgrading your Android to ICS as it is being forecasted that Xperia Active is getting ICS upgrade this coming May. It might turn out to be an upgrade that force you to upgrade to more expensive ANT+ capable watches just to keep your reading going. And if anyone can help after reading what I have encountered, please drop a note or two on your experience. I do hope to rectify this issue soon. so.. can this phone + sensors (foot pod, speed/cadence, hrm) actually replace top garmin\polar\suunto\etc products? because sensors just give dataflow, i suppose it’s more software functionality problem..
so is there a program with enough functionality? The short answer is no, there is no such a complex app to replace a better sport watch. I bought the Xperia Active in January but ended lately with Forerunner 610 watch. I’m still happy with Xperia because of its durability and water proofnes, i take it often for my rafting/kayaking trips, but as an training toll it is just good as every other smartphone – logs your distance and HR. kedai mano buleh kawe beli talipon yg canggih mcm tu? 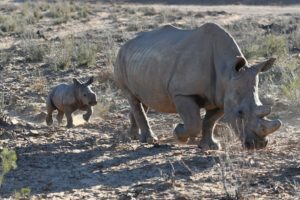 berapo rego? hok ap ko zitron? What is it like in comparison to a motoactv? I am using mapmyride with wahoo speed/cadence sensor on the Sony Xperia active as my bike computer. The problem I’m facing is that I cannot keep the screen on throughout my ride. There is no such function to keep the screen on under setting. This is available for the iPhone app. Anyone knows how to keep the screen on? Xperia Go does not have ANT+ sadly..
how about the xperia active test in sun ray? biking 4 t0 10 hours under the sun? please help…. 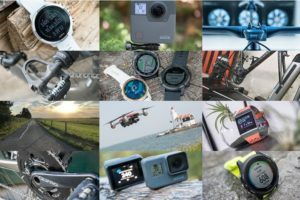 I’m new to the site – it was recommended to me when I asked elsewhere about Garmin Edge products (I’m a bit old-school 20th century in terms of all this stuff). Excellent reviews, and this – if it came with a bike mount – has made me wonder whether it might be better to get than an Edge 500 or 800. The one thing I want with the device I eventually choose, though, is real-time ascent percentage readings. I’ve only ever plotted routes by hand on the MapMyRide website, for example, and it always shows the short, sharp climbs around my way (which are 14-16%) as averaging out at 4-5% climbs because of the shortness of the really steep bits. Are any of the apps that you could use with this phone good for that? The Xperia Active has GPS+Glonass GSP chipset. Page 16 of whitepaper. Very good satellite reception. Can be a substitute for a haddle gps ?? One android program for off road navigation, oruxmaps. Very good to. For those who are considering of buying the successor of the Xperia Active, i.e. the Xperia Go (now under the Sony branding): it has NO ANT+ . Seems that Sony has dropped ANT+ support in there newest phones, which is really a pity. I am afraid that the Xperia Ray has no ANT+ support. Like the Xperia GO. A bad move from SE’s part. This article inspired me to go and write an App to take full adantage of this phone. Search for IpBike for an app that with this phone gives you somthing equiverlent to any high end bike computer. Includes real time incline information as comment 90 was after. Using the Active itself in dircet sunlight the key thing is what the direct reflection is. sky or light clouds you need to have the backlight turned well up which of course hits the battery life. I organise my bike mount so the reflection is directly back at my face and with this setup I can put the display down to 25% and gett 4 hours none stop use. If you let the display switch off then you can get 8+ hours. The Xperia acro S is Sony’s latest ANT+ compatible phone (as far as I can tell). It doesn’t look as drop resistant as the Go but it’s still water resistant. Hi Ray, would you happen to know of there’s a strap of some sort so i could use this phone on my wrist? sort of like a gps watch? No – Xperia Z is not ant+ enabled! Hey, Carl. I’ve been using the Active for the last (almost) two years and still love my little phone. Unfortunately, it is showing it’s age now mostly from a memory and app space perspective. The newer Xperias seem to have the water- and dust-proofing built in without being labelled Active but don’t have the nice form-factor, the rubber lanyard and sexiness in my opinion of the original Active. It would be nice if Sony came out with an Active 2 with enhanced specs but otherwise similar looks to the original. Just wanted to let you know that I read this review two years ago and wen’t ahead and bought the phone. It has since been with me for many hours training and I find it a really good training companion. I event went ahead and made my own app for it that I recently published to Google Play. It is called Move Tracker. Thanks for the great review that made me start the fun hobby programming project building Move Tracker! Also still a happy Xperia Active user with original Android System. All the newer phones are too big. Also made my own garmin mount including velcro steps, looks great, works great. For running my Apple earphones don’t work because Sony uses a different plug. Which earphones are you recomending?! or better which Sony ones are compatible?! Are there any “active” versions of smartphones with ANT+ and/or BT-LE? If you guys are in the market for newer versions of ANT+ enabled Xperias, Sony just launched the Xperia Z compact. That’s the closest I think that comes to matching the Active in form/function factor with added battery life, and better camera. It’s a slim design, though it doesn’t inspire the same confidence you get with rugged (aka chunky) design of the Active. I am not affiliated with Sony in any way, other than the fact that I have 2 Actives in service – which I bought based on this excellent review!